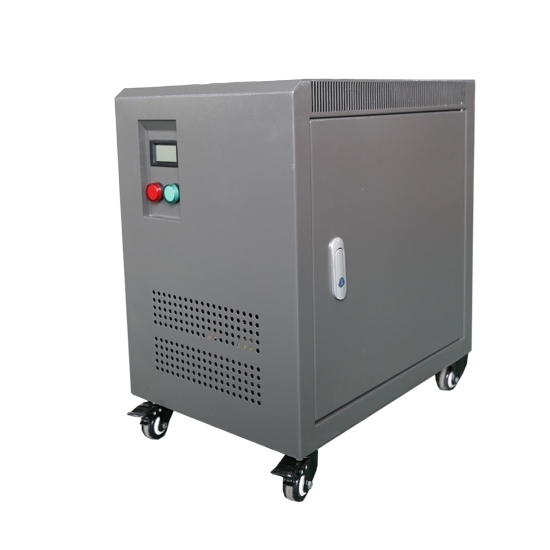 Safety 10 kVA isolation transformer is suitable for circuit of 50 or 60Hz, 3 phase, primary voltage 400V to secondary voltage 240V. The transformers is high quality with lower cost, manufactured direct sale and fully compliant with reduced low voltage regulations. 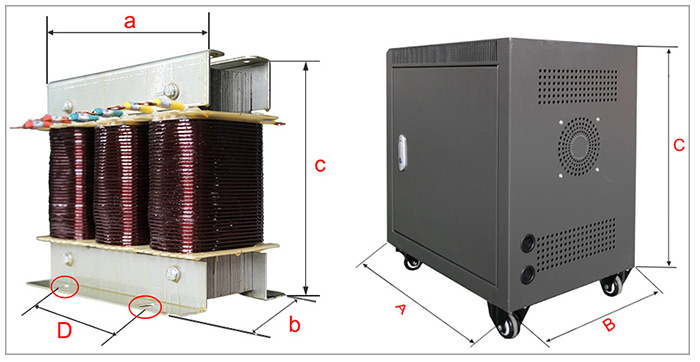 The 20 kVA capacity transformer from ATO is safety and isolation single phase transformer, it can step down 240 volt input voltage to output 208 volt, can step up 208 volt to 240 volt as well. This good price isolation transformer provides enhanced electrical isolation between the line supply and the application. Low price 25 kVA isolation transformer is designed to step down 3 phase voltage 380 volt to 3 phase 220 volt, also step up 220 volt to 380 volt vertion for selection, suitable for both indoor and outdoor applications. Tips: How to select a 3 phase step up & step down isolation transformer? Confirm the power supply voltage (V) provided by the grid and the required input rated voltage of the electric equipment to determine the voltage (V) ratio of the transformer. Confirm the phase number of the input power supply required by electrical equipment to determine whether to make three-phase or single-phase system transformer. Confirm the required input rated current (A) of the electrical equipment to determine the transformer capacity (KVA). Insulation class requirements: A class 105 ℃, B class 130 ℃, F class 155 ℃, H class 180 ℃. I am quite pleased with this 25 kVA isolation transformer. Although it is a little heavy but then fit for purpose. I also like that this is a dual function transformer to work in reverse to step down 220 volts to 120 when needed. Will surely recommend for people who want to use appliances across countries.